Prisons have become warehouses for the mentally ill.
Mentally ill people are locked up for trivial reasons and then get much worse. Prisons often cannot provide inmates with psychiatric medications or treatment. 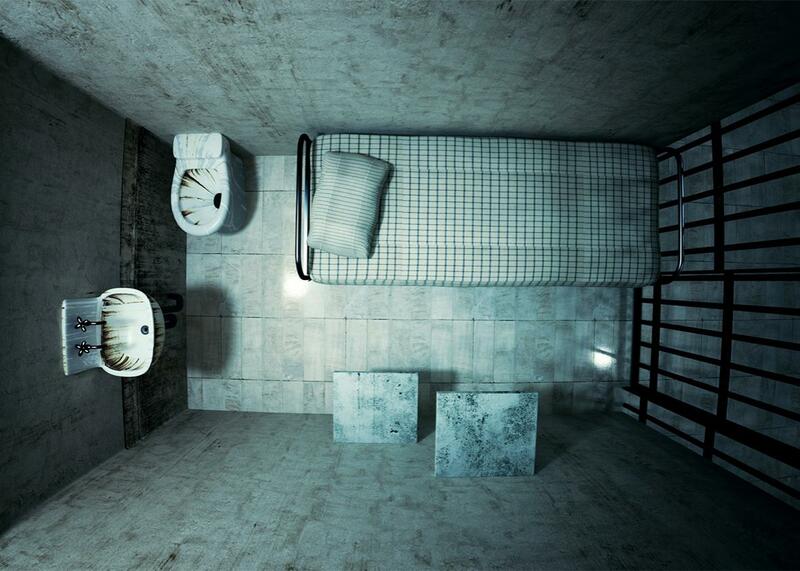 America’s prisons have become warehouses for the severely mentally ill. Under the guise of punishing criminality, these inmates may be subject to cruelty from corrections staff, physical constraint up to and including lockdown or solitary confinement, and shocking physical and sexual abuse from other prisoners. They may receive inadequate treatment and poor supervision, and many will commit suicide while in prison. A 2014 report by the Treatment Advocacy Center notes bluntly that “prisons and jails have become America’s ‘new asylums.’ ” Ten times more mentally ill people are now in jails and prisons than in state psychiatric hospitals: In 2012, approximately 356,268 inmates with severe mental illness were in prisons and jails, while about 35,000 severely ill patients were in state psychiatric hospitals. Many of these inmates would have been in hospitals prior to the deinstitutionalization movement of the 1960s, but now there are not enough beds, and many mental health hospitals have been closed down. According to one report, the number of state psychiatric beds in the nation declined from a high of approximately 550,000 in 1960 to 40,000 today. So extremely sick people are locked up, often for trivial offenses, frequently without treatment, as their illnesses worsen. Upon release, they are more likely than other prisoners to recidivate and be incarcerated again. Prisons often cannot provide inmates with psychiatric medications or treatment. They may turn to brutal alternative options, including solitary confinement or restraining devices. A recent Florida report shows that prison staff take pains to ensure mentally ill prisoners are fit for trial. Once the prisoners are convicted, they are cut off from all services. Sexual abuse is rampant. A 2007 prison survey revealed that about 1 in 12 inmates with a mental disorder reported at least one incident of sexual victimization by another inmate over a six-month period, compared with 1 in 33 male inmates without a mental disorder. Among female inmates with a mental disorder, almost 1 in 4 are sexually victimized. Suicides and suicide attempts are common. A study of 132 attempted suicides in the King County, Washington, jail system found that 77 percent of the prisoners had a “chronic psychiatric problem,” compared with a rate of 15 percent among the rest of the jail population. Prison time does nothing but exacerbate the underlying problem. This 2015 study from the Urban Institute cautions that mentally ill inmates, who are typically jailed for trivial offenses such as trespassing, disorderly conduct, or drug use, tend to stay in jail longer than nonimpaired inmates, recidivate and return to jail more frequently, and cost local jurisdictions more to incarcerate. The government of the U.S. Virgin Islands has been involved in a protracted class-action lawsuit, filed by the ACLU more than two decades ago, called Carty v. Mapp, challenging unconstitutional conditions at two correctional facilities. The parties entered into a settlement agreement in October 1994. The court order required the Virgin Islands Bureau of Corrections to hospitalize acutely and chronically mentally ill prisoners. Again, that was in 1994. Since that time, the court has held the defendants in contempt four times. The territory continues to pledge to fix the problems but has made no substantial progress. At this point, the government has finally begun to formalize some changes to a handful of policies. What has transpired since can only be described as more than three years of subterfuge and unfulfilled promises. First, territory officials said they were seeking a psychiatric facility outside the Island because no adequate facility existed on the Island. While they made inquiries with a few facilities, they made no actual transfers despite a Puerto Rico facility agreeing to accept two of the NGRIs. Territory officials have since promised the court that they were near completion of their own forensic facility. On the eve of a February 2005 contempt hearing, the NGRI patients were transferred to a psychiatric unit at the Juan E. Luis Hospital (JLH) on St. Croix. In January 2006, the NGRIs were moved back to [the adult correctional facility] without notice to the court or class counsel. While at JLH the NGRIs’ conditions improved drastically; one was even recommended to be discharged. After returning to ACF they began to deteriorate and again became a threat to themselves and others. In March 2006, the court ordered territory officials to move the NGRIs to a psychiatric forensic facility. By February 27, 2007, however, the defendants still had not taken any action on the order. The governor of the U. S. Virgin Islands, Kenneth Mapp, declared in his State of the Territory address on Jan. 27: “It is no secret that this territory has taken a backward step on the issue of mental health, leaving those who need care to walk the streets, languish in our prisons, or enter the revolving door of a criminal justice system that is ill-prepared to address their needs. As a community, we have earned an F-minus in the care and services we provide to the mentally ill.” A year later, almost nothing has changed. A new expert report was filed in August in this same class-action suit by the court-appointed psychiatrist, Kathryn Burns. It makes for chilling reading and paints a picture that evokes Victorian-era brutality. Burns, who had assessed the same facilities a year earlier, noted that despite her earlier recommendations, “No medical or mental health care policies or procedures had been adopted.” She writes: “There is no appropriate safe housing for mentally ill inmates or those requiring placement on suicide precautions. Actual therapeutic treatment space for individual and group interventions is lacking. … Incident reports and logbooks continue to reflect the use of use physical force, steel restraints and lock down for persons with serious mental illness—almost always without consultation from mental health to de-escalate situations and often without notifying mental health staff even after the fact to determine whether a treatment intervention would be helpful.” Burns concluded at the time that the government had failed to comply with every mental health provision, more than 60 in all, in the settlement agreement it entered into a year earlier. This is not just about a handful of seriously mentally ill prisoners in the U.S. Virgin Islands, however. The abuse, neglect, and tragic lack of foresight in that system is emblematic of a problem that exists throughout this country. It’s a problem that will only worsen unless we distinguish between mental illness and criminality and return to policies that actually treat inmates who are ill, rather than brutalize them.